Thread: First post... Anyone know if the Sedan and touring use the same taillight? Just picked up a 1995 525I T. I have a cracked left rear taillight. I checked the eom site as a cross reference. It showed two different part numbers for the sedan and touring, but the picture also showed two differnt parts sets included with the light. So, I'm confused. 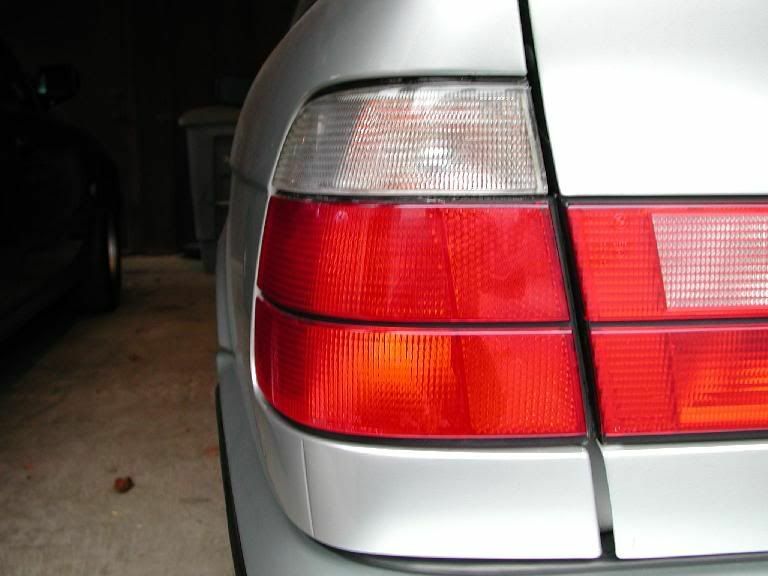 Anyone ever try a sedan rear light in their touring? BTW: I'm a car guy. Here's my 914. It's known as the Alien. Last edited by ricola; 08-21-2006 at 04:26 PM. Who say's Aliens only abduct people? why are they advertising E34 SEDAN tallights? 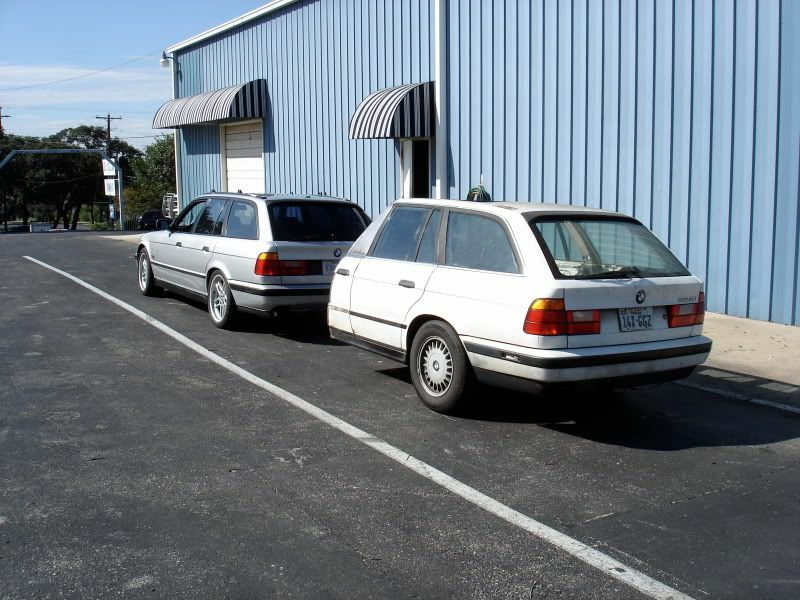 "BMW Clear Tail Light Assem PAIR for ALL E34 Sedans"
Probably because the touring has different ones. ?? To answer your question, the touring and sedan lights are in fact different. Tourings are harder to find but there are several board members who have swapped their OEMs out for clears or smoked that you may be able to buy one from. Good luck! Probably an LS1 in there, popular mod. It's a hand full! Look for a feature in an up coming edition of Exellence magizine. Originally Posted by Anton CH. No, actually it's all Porshe. 1980 euro spec 928 "S" motor. 300+ HP. Check the photo. We call this the "Money Shot" check the reflection.. in the black rear lid. Crap! Files too big. Thumb nails too small. I changed the photo in the first post. Man I had to shrink that one down. Last edited by ricola; 08-21-2006 at 04:29 PM. I can confirm that the Touring has different lights. All you have to do is look at the back of a Touring to see. Look around the corner and you can tell, the Touring lamp assembly "slants" a bit while the sedan it's "straight". Tourings have different buckets of lights and they don't make clears for them. You should buy a second pair of buckets and mod them yourself. This is the only outfit that helps you in this endeavor. Only photo I have now. You can see the chipped light. I've only had it a week. Since I bought it I replaced the fuel sender, and the front struts. I think someone tried to sypon the gas and broke the sender with the hose. I'll shoot some with Lake Superior in the back ground soon. The clear lens you installed looks very nice. That is exactly the section of tail light that is broken on my touring. I will be placing an order on that link soon! Last edited by ricola; 08-21-2006 at 11:39 PM. 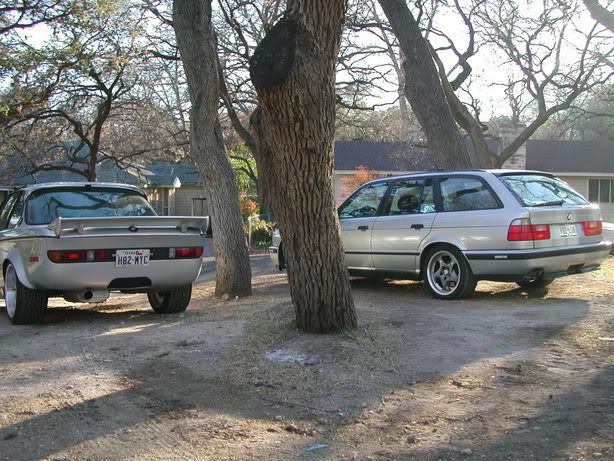 Post your E34 touring pics!